First used in the context of addressing environmental challenges, the phrase “Think globally, act locally” has taken on meaning in a variety of fields. With many of today’s leading companies dispersed around the globe, effective internal communication must reflect location-specific concerns which are often best addressed by firsthand observations. Local topics are generally far more relevant to your employees. The insights of a local plant manager as opposed to a CEO can be a great way to promote culture, strategy, and engagement. Think about preparing a playbook for local communications, and help your local leaders and communicators learn best practices that embrace the specifics of their particular location. Find a good balance between centrally-created content and local stories, freely told with limited regulation (see point #18). In an era when mobile phones and video conferencing have changed the ways employees interact, many companies view business travel as an extravagant expense. But sitting in an office in front of a screen is no substitute for actually getting out on the road. Oxford Economics USA has found that the rate of converting prospects to actual customers almost doubles when face-to-face meetings are part of the equation. The same goes for your internal communication. In-person meetings can increase understanding and empathy, reduce miscommunication, and foster team spirit. Ask your boss to raise your travel budget. Tell him or her that technology shouldn’t always take the place of getting in front of your colleagues, meeting new people, and expanding your network. Check out The Ultimate Internal Communication Conferences Guide for 2018 and 2019 for a list of must-attend events! Related to the above ideas of empowering local communicators and traveling more is the realization that the most effective messages have the power of authenticity. According to a 2015 Gallup study, 37% of employees have worked remotely at one point in their career. In a related development, CNN says that as of May 2017, 34% of the American workforce were doing “gigs,” characterized by short-term contracts or freelance work, as opposed to permanent jobs. This is good news considering that independent workers are typically more engaged, autonomous, and collaborative. It’s important to acknowledge the different needs of a deskless workforce and to make efforts to engage them no matter where they are. Mobile communication tools—including apps, text messaging platforms, push notifications, and social media—enable you to connect freelancers and non-desk workers across departments and locations. Supporting employees on their mobile devices will generate greater connectivity when it comes to employee communication and productivity—including online meetings, training, and video learning. Furthermore, enabling your workforce to engage with people and information wherever they are and whenever they choose is a difference-maker in the increasingly competitive market for attracting the talent necessary for your business to thrive. Communicators write, create, and speak for a living. But for an organization’s leaders, it’s numbers that do the talking. To prove the value of your internal communication, increase budgets, and show results, you need data to make your case. Luckily, collecting that data is easier than ever before. Built-in analytics tools for internal communications can now gather and display detailed metrics for multiple channels on a single dashboard, in addition to providing basic measurements for the interactions we all know and love from our non-working lives: likes, shares, and comments. The Staffbase employee app offers mobile tools for editors that facilitate analytics and editing on the fly. Such information will enable you to focus your efforts and discern where improvements need to be made. Analytics allow you to identify the most relevant articles and content, discover what kind of information is best received via video or text, or even whether making articles printable leads to higher levels of engagement. Through continuous monitoring and assessment of metrics over time, you will be able to observe changes in employee behavior and better understand the value of your internal communications strategy. So here’s an idea: if you want to try something new, don’t call it a project or a plan—define a clear hypothesis and consider it an experiment. That’s a great way to manage expectations because failure becomes an inherent possibility. For instance, suppose you had the idea that cutting the text of your CEO’s New Year's message by 50% and including a short video instead would generate 25% more views. It’s worth a try, right? Now imagine committing to one experiment per month. Think of how much you could learn if you weren’t afraid of being wrong some of the time. Employees don't transform into robots the moment they walk through your organization's doors. Gamification and opportunities for having fun are great for making people feel welcome and allowing them to express their individuality. Such efforts can also help them get to know their colleagues, and they have the power to establish feelings of belonging that boost employee engagement and improve retention. 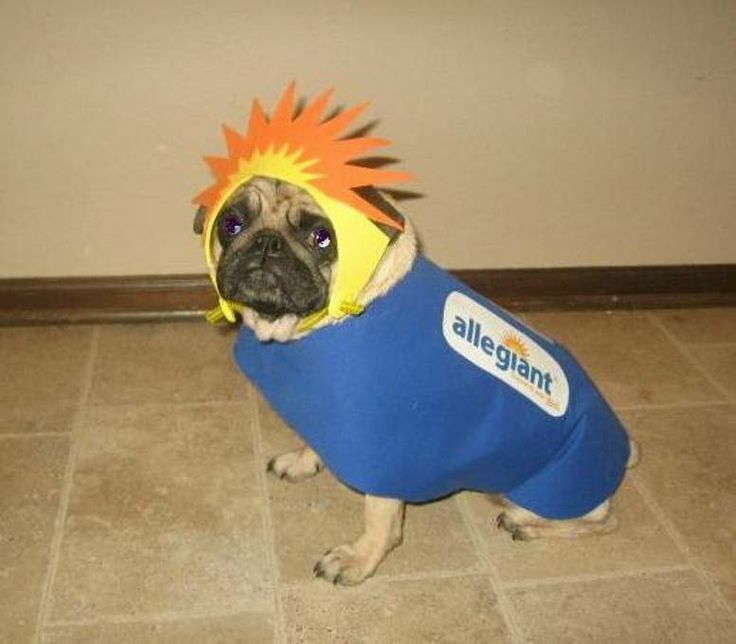 One great example of this kind of initiative comes from Allegiant Air, a low-cost airline headquartered outside of Las Vegas, Nevada. They hold a monthly “Cutest Pet” contest (picture above) in which employees use their company app to submit pictures of their pets. The first twelve submissions are entered into the contest, and every app user can cast a vote, with the winning picture receiving a prize. Employees are always eager to enter the contest; every month, the twelve submissions fill up within hours—without any internal advertising. According to NICE Systems, only 31% of companies are exploring or using some form of digital rewards or gaming mechanics, but clearly it’s a great way to encourage employee interaction, as well as an effective means for getting people to adopt a company app. Older workers—those who are at or approaching the traditional retirement age of 65­—are the fastest-growing segment of the workforce. It’s therefore no surprise that a recent survey by the Society for Human Resource Management, conducted in partnership with the AARP, found that nearly half of all employers think the loss of older workers over the coming decade will be a problem. Older workers have a wealth of knowledge that’s often critical to an organization’s daily operations, and many companies have begun instituting mentorship programs that encourage younger employees to learn from their older peers. Research also suggests that putting old and young workers together boosts the performance of both groups. Their matching interests—which include work being a source of social interaction—make them good allies, and because they’re at different life stages, they tend to work well together and be less competitive with one another. A further benefit of the older generation is their relatively stable work habits compared to millennials. More than 90% of millennials expect jobs to last less than three years. Such mercenary attitudes make long-term employees even more valuable. Try to find ways to communicate and embrace the beneficial relationship between aging workers, millennials, and employers. Making relevant information available to all of your employees is an ongoing struggle for internal communications, especially these days when so many workers don't sit at a desk and have limited access to corporate email or the company intranet. Not only is there an access barrier to contend with, but there's also the matter of time. Workdays are often jam-packed, especially for service or field-sales workers, and there's usually little time remaining for collecting information, let alone effectively communicating it. Now more than ever, successful internal communication channels need to challenge these barriers and do a better job of reaching all employees at the right time and with the right message and content. That includes taking advantage of rich media and tools for sharing real-time information that encourages employee feedback. Based on these requirements, here are eight guidelines for cultivating the most common channels for employee communication. 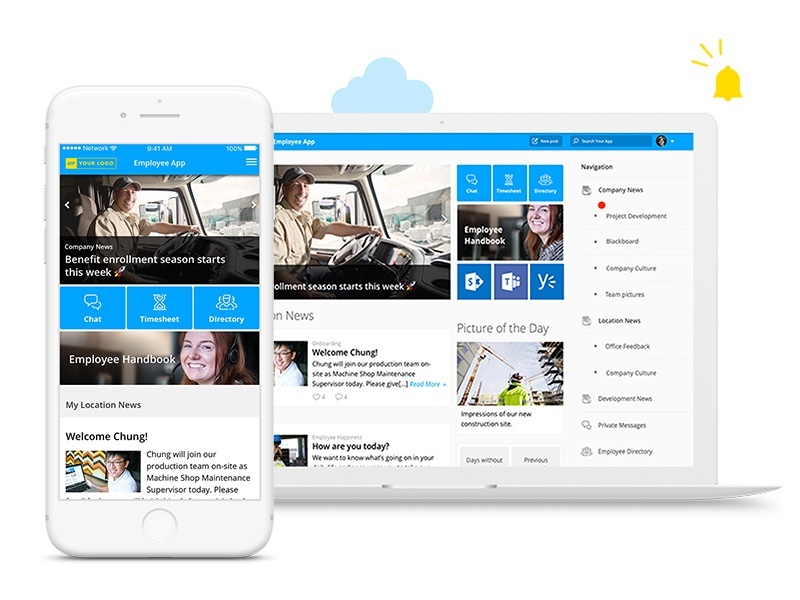 With so many companies thinking about a mobile channel for their employee communication, a great deal of interest has arisen around how an employee app can fit with an organization’s intranet and digital workplace strategy. To reach them all—the drivers, the factory workers, and the frontline staff—access to certain resources must be available for personal devices, too. This Bring Your Own Device (BYOD) requirement fundamentally changes how we need to plan a digital workplace strategy. A second step is to look at the main employee target groups within an organization. Knowledge workers are typically seen as the major users of a digital workplace, but in many companies, a majority of employees are process workers who sit at desks doing tasks like accounting, HR operation, or purchasing. Non-desk workers make up a third major group, and typically they would have been left out of a digital workplace strategy. Now that everyone owns a mobile device it’s possible to reach these people and give them access to use cases like communications, knowledge, and self-service processes. Gone are the days when email was an organization’s most effective channel for sharing information. The decrease in email usage has been met with an increase in communication apps. According to a study by the Pew Research Center, 67% of all downloaded apps are intended for communication. The study also showed that people under the age of 35 feel a "need for instant gratification" and a "loss of patience." As Internet speeds increase, people are less willing to wait for websites to load, videos to buffer, and colleagues to respond to their messages. In order to connect and reach a workforce that consists primarily of millennials and Generation Z, messages need to be brief, precise, and ideally sent via a channel other than email. Getting faster means that more and better targeted communication can be instantly shared among numerous recipients—even those who aren’t sitting at a desk. Since they first emerged in the mid-2000s, podcasts have become a highly popular medium for consuming audio content. In 2017, roughly 112 million Americans age twelve or older listened to a podcast, an 11% increase over the previous year. 42 million Americans listen to podcasts weekly, five times the number of those who go to the movies. Podcasts are a great way to provide important content to employees on the go. More and more leading internal communications teams should be utilizing podcasts to deliver important internal corporate messages, engage employees, and align teams. 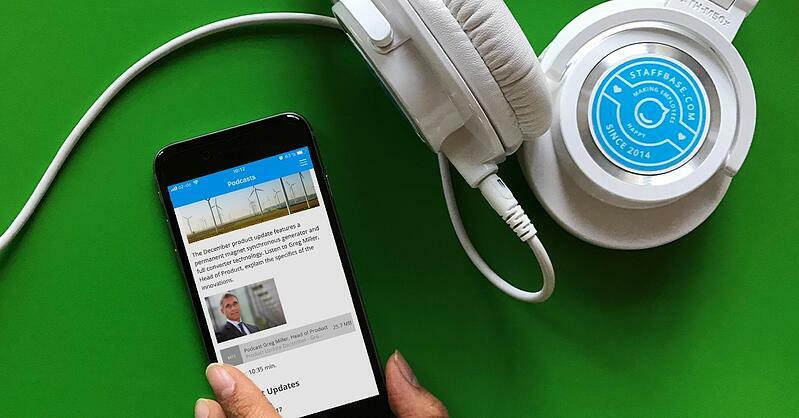 Podcasts can make internal communications more engaging. They’re also a great way to give your non-desk employees access to important content. The same principle applies to sales and service teams who constantly travel. Podcasts allow these employees to take advantage of features like offline listening and “car mode” to consume important content while in transit. Deutsche Telekom, for instance, uses podcasts to share information with their technicians that can be listened to while on the road. Live content can be made available on demand immediately, and no matter where they are in the world, your remote workers can pick the best time to engage with the message you’re sharing. The informal nature of podcasts also makes them easy to produce, greatly increasing the number of employees who might be willing to share their experiences and expertise. GIFs, which look like photographs alive with movement, are more popular than ever, and they represent just one of the ways corporate communications are becoming increasingly visual. That said, many communicators still find it hard to see how animated GIFs can benefit them. In fact, there are several reasons to use the format: They’re more visually engaging and memorable than static images; they’re mobile-friendly and work on a variety of platforms; they can make complex topics much easier to understand; and they’re faster and cheaper than video. Animated GIFs can bring numbers to life, and they’re especially great for simplifying complicated ideas. Just as people use GIFs to communicate their reactions to something, so too can companies. Messaging platforms are making it easy for employees to use GIFs to communicate with fellow team members. When Microsoft partnered with GIPHY—the world’s largest source of animated GIFs—it was clear that the format was here to stay. The technology giant has made GIFs an integral part of its enterprise messaging offerings. Just don’t ask us how it’s pronounced. If a picture is worth a thousand words, how many words must a video be worth? These days, with a portable video studio in nearly every pocket, you don’t have to be Steven Spielberg to be good at using video to tell a story. Anyone who's ever posted a video to YouTube knows that producing, consuming, and distributing moving images is simple and easy. Why should it be any different in the workplace? Making sure that you have an IC channel capable of sharing and commenting on video will be a great step toward strengthening employee connections and bringing internal messages to life. 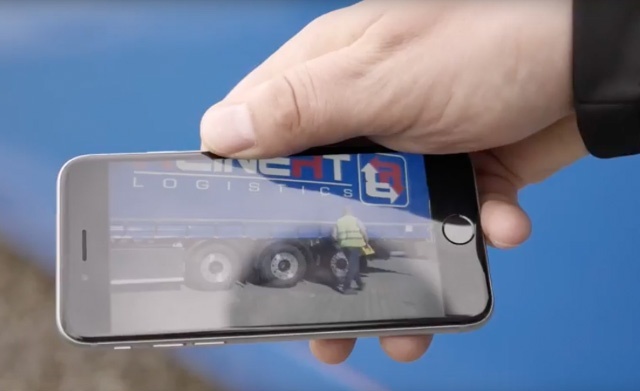 Reinert Logistics uses videos to train drivers how to do a safety check before every journey. Watching a video to digest information is fast, interactive, and entertaining. The format can project emotion and tell a story more vibrantly than words on a page, making it easier for your employees to relate to what you’re trying to tell them. As the shift to the digital workplace continues, video will be a versatile tool for helping you accomplish your internal communications goals. So go ahead—lights, camera, action! Supporting mobile users needs to be part of any successful digital workplace strategy, especially in large, dispersed organizations, allowing for greater connectivity in regard to employee communication and productivity—including mobile online meetings, online training, video learning, and more. 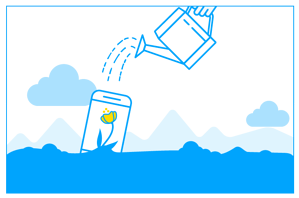 Apps should be native—widely distributed and easy installed. Your native app should be branded. Branded apps create more trust, better onboarding numbers, and higher user engagement. Users shouldn't be required to authenticate with every login—after an initial login their app should work just like all the others on their device. The app should include use cases that employees can truly use. Content should be automatically personalized based on the individual user profile (location, business unit, job description, etc.). Chat will certainly be a part of many platforms in the future and there’s no doubt that chatbots will play a part in internal communication. Chatbots will be specialized for target use and specific audiences, just as team chat platforms like Slack already provide chatbot integrations with collaboration tools. Another example can be seen in the Staffbase employee app, which offers an anniversary chatbot that lets organizations send automated messages to their employees on birthdays or work related anniversaries. That said, there has been a great deal of hype about chatbots and clearly some exaggerated expectations about how they can work as an internal communications tool. Some people have gone so far as to say that the future will be chat only, and that everything an employee needs—communications, onboarding, learning, surveys, HR services—will be done with chatbots. But bear in mind that a chatbot is just another user interface, and for many tasks it’s a fairly complicated one at that. There's already a bit of disappointment regarding chatbots at Facebook and other social medial platforms. So, as always, try to look beyond the hype and understand for yourself where chatbots can bring value and where they’re just a gimmick. Technology enables the digital workplace. But depending on your industry and business needs, the tools needed to support it will vary. The key is to adopt the right tools that enable your employees to do their jobs. 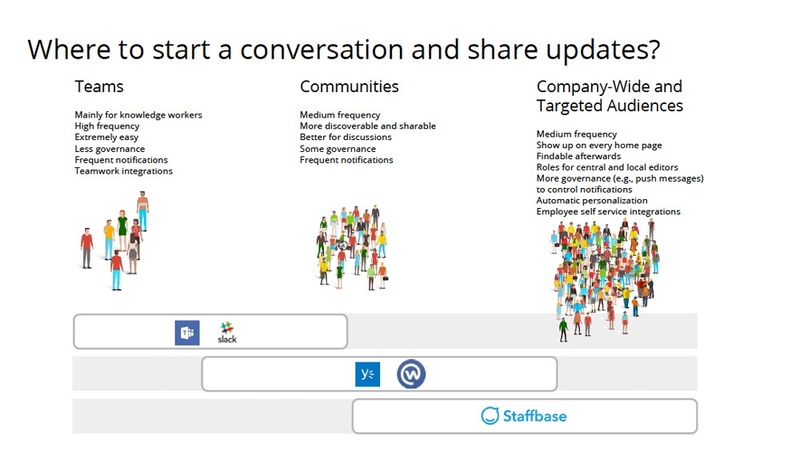 Organizations often question why they can’t use platforms like Slack or Yammer as their internal communications tool. The answer is that teams, communities, and targeted or company-wide audiences have entirely different communication needs as a result of their varying sizes. Group chat applications like Slack and Teams will work best for small collaborative groups. But community-centric tools like Workplace by Facebook or Yammer aren’t great for company-wide and/or targeted audiences. One big reason why is that for these larger use cases, there’s generally more governance involved. For example, you wouldn’t want to send ten push notifications out to a large audience every day. There must be rules regarding such matters (see point #18), just as there needs to be regulations about what's visible on your home page, where important information generally must remain for longer than the few minutes it would appear with Slack or Yammer. It's unrealistic to expect that all users will actively subscribe to communication channels and manage their notification settings—up to 80% never will. The point is, it’s important to give a great deal of thought to whom you want to reach, and to choose the most appropriate tools for actually doing that. As digital workplaces gain traction, the question often arises as to whether intranets are still a necessity. While we believe that the role and shape of intranets need to undergo some substantial changes, the concept itself is still an important part of the digital workplace. 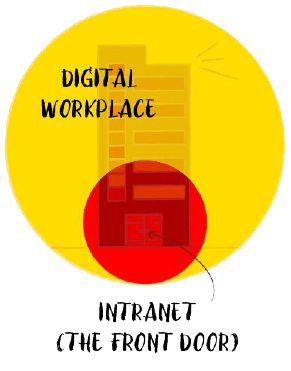 The main strength of intranets is to provide a front door through which an employee can find the various tools and services of the digital workplace. This front door needs to be easily accessible on all devices, branded and personalized, and to act as a communication hub. Sounds a lot like the list from point #14, right? That's why an employee app can and should be a lot more than “just an app.” It needs to be both a communication hub and the front door intranet—one that’s mobile but also works on desktop. Such a platform can be a great front door to an Office 365 environment, for example, with tools like SharePoint, Yammer, or Teams. 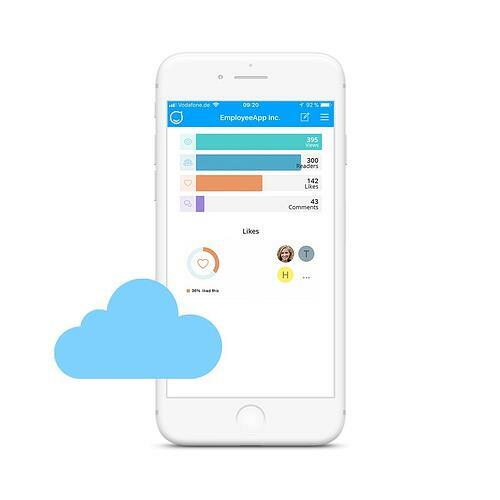 How does an employee app fit into the digital workplace? The smart answer is that it's not just the app but its role as a hub of communication that acts as a front door intranet. Governance remains a must in the digital workplace, but going heavy on policy is never a good idea. Thick rulebooks tend to remain unopened. Creating a list of basic guidelines that are easy to read and understand might be the better approach. Use driving a car as an example. Drivers need to follow two golden rules: Don't Hit Anything and Don't Get Hit. Everything else is secondary. Likewise, governance often becomes excessive when people get carried away trying to prevent “what if” scenarios. It’s never a bad idea to go through your governance to ask whether these scenarios happen frequently enough to justify keeping the redundant rules addressing them. It’s also always better to embed your guidelines in training material instead of policy. Giving someone helpful advice is more effective than throwing down a mandate. And try to remember that whatever your rules say, there will be times when there's a sound reason for bending them. 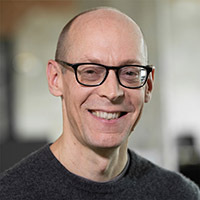 Taking a laissez faire approach to governance may seem, well, laissez faire, but if people are doing the right thing in your digital workplace then, chances are, so are you. Are you still reading? Kudos to you! We bet you've got some great ideas for boosting employee engagement. We'd love to hear about them, so please feel free to leave a comment in the section below.